Assistant Executive Engineers (Civil) in I & CAD Engineering Service. Must possess a Bachelor’s Degree in Civil Engineering of a University in India established or incorporated by or under a Central Act, Provincial Act or a State Act or an Institution Recognized by the University Grants Commission / All India Council for Technical Education or an Equivalent qualification. Assistant Executive Engineers (Mechanical) in I & CAD Engineering Service. Must possess a Bachelor’s Degree in Mechanical Engineering of a University in India established or incorporated by or under a Central Act, Provincial Act or a State Act or an Institution Recognized by the University Grants Commission / All India Council for Technical Education or an Equivalent qualification. Must possess a Bachelor’s Degree in Civil Engineering of a University in India established or incorporated by or under a Central Act, Provincial Act or a State Act or an Institution Recognized by the University Grants Commission or an Equivalent qualification. Assistant Executive Engineers in Panchayat Raj in Civil / Mechanical Branches Engineering Service. Must possess a Bachelor’s Degree in Civil or Mechanical Engineering of a University in India established or incorporated by or under a Central Act, Provincial Act or a State Act or an Institution Recognized by the University Grants Commission or a Pass in Section A and B of AMIE Examination conducted by Institute of Engineers in Civil or Mechanical or AMIE and B.Sc., (Engg.) of Ranchi University or an Equivalent qualification. Must be a graduate in Engineering (Civil/Mechanical) from any University in Indian established or incorporated by or under Central Act, Provincial Act or a State Act or an institution recognised by the University Grants Commission or an equivalent qualification. Must possess a Degree in Engineering (Civil) from any University in Indian established or incorporated by or under Central Act, Provincial Act or a State Act or an institution recognized by the University Grants Commission or pass in Sec. A and B of AMIE examination conducted by Institute of Engineer in Civil or an equivalent qualification. Must possess a Bachelor’s Degree B.E. Civil or Mechanical Engineering or B.Sc (Engineering) Degree of Benaras Hindu University or a Pass in Section ‘A’ and ‘B’ of AMIE (India) Examination as prescribed in APPH & MESS rules. Fee: (Remittance of Fee) Each applicant must pay Rs. 100 towards Application Processing Fee and Examination Fee RS.120/- (if Candidates are not exempted from payment of Fee). Payment of Rs. 100 towards application processing fee is compulsory for all Applicants. 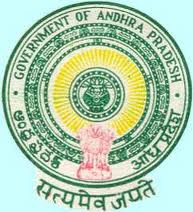 The Applicant should pay the prescribed Fee in any one of the A.P. Online centers / State Bank of India and obtain Fee paid challan with Journal Number in the first instance. The Written Examination is likely to be held from 01/07/2012. The Written Examination will be held at the following Five Centres: 1- Hyderabad, 2- Visakhapatnam, 3- Vijayawada, 4- Tirupati 5- Warangal.Applicants should choose only one of the above centres. Centre once chosen shall be final.